This is my grandniece Ana. She's an artist. She's been so sad that I haven't had time to do crafts with her, and her sister's and cousins. Soooo... I said okay let's have a party. 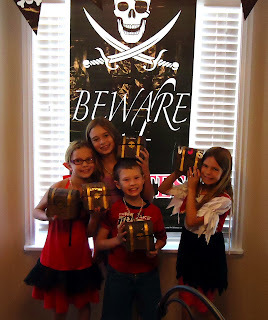 And she decided we should have a pirate party! We talked about what she wanted to do and treasure chest was first on the list. We decided to make them before the party and I explained how we might make them. When we next got together, she had created a cardboard template so we went right to work. Next on the list was pirate's gold. I had made clay stamps to make pirate coins for a clay camp some ears ago. We decided on gold polymer clay. We soaked the clay stamps in water so the polymer clay wouldn't stick. It worked perfectly! So much fun! We decided that we want to do this once a months and the kids would each design their own party. Ahh, good times. So colorful and scary at the same time, I bet the little ones swill remember it for a looong time! This is the third pirate party I've seen this summer - is this the hot trend of the season? 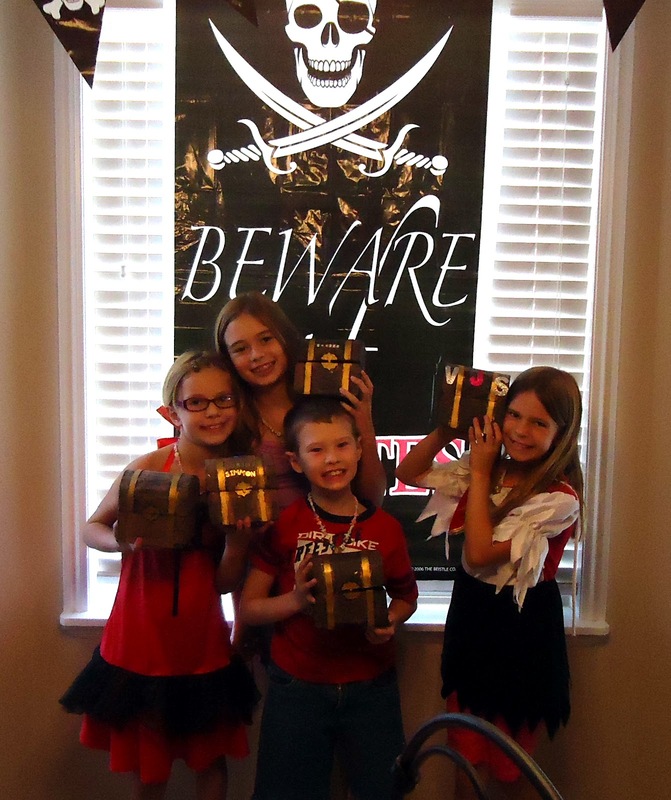 It must be, Meeha, because the kids chose the theme!